I recently watched Black Mass, and a negative that stood out to me were the summarized futures at the end of the film. That’s a standard ploy, whether used in a biography to tell audiences how the story ends or in a comedy to further the humor. But it bothered me in that film because the movie itself was a summary, not a look at one certain aspect, but a general account of Whitey Bulger. So running a few words across the screen at the end seems a little pointless; couldn’t your entire movie be summed up that way, in text rather than on screen? Why did I watch a dramatized representation of true events that I could have read an article about? Basically, the film didn’t impress me enough with acting/depth/entertainment to become a great film with a summary at the end, coming across instead as an essay on Bulger with good actors hired for the occasion. I bring this up because Everest does the exact same thing. It focuses too much on fact & detail, constantly reminding us that this is an account of a true story. So when the blurbs begin popping up at the end of the film, I didn’t feel like my time spent was warranted, that perhaps I could have watched the entire story in 20 minutes with only still photos and paragraphs, saving myself the effort. The great Mount Everest Disaster of 1996 claimed the lives of eight people, and raised many questions as to the safety & intelligence of taking non-professional climbers up the world’s tallest mountain. Commercial organizations began competing for the fees of would-be mountaineers, taking their money in exchange for taking them up Everest. Rob Hall owned such a company, organizing & leading a group of men & women into a Nepal mountain range, acclimatizing their bodies, and ultimately walking with them to the peak. But as he put it himself, man isn’t meant to live at the cruising altitude of a 747 jet, and their bodies would begin to die on the journey. 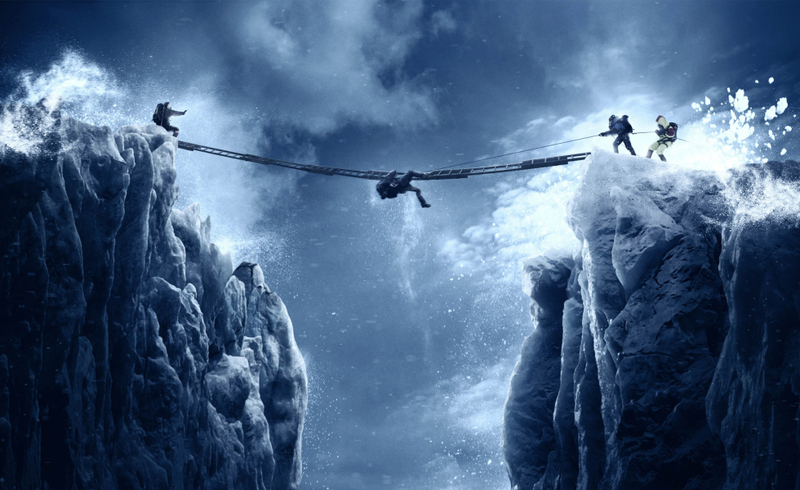 Hall’s job was to get them down before death came from a lack of oxygen to the brain, but the blizzard that struck the team during their descent was something that he was not prepared for. 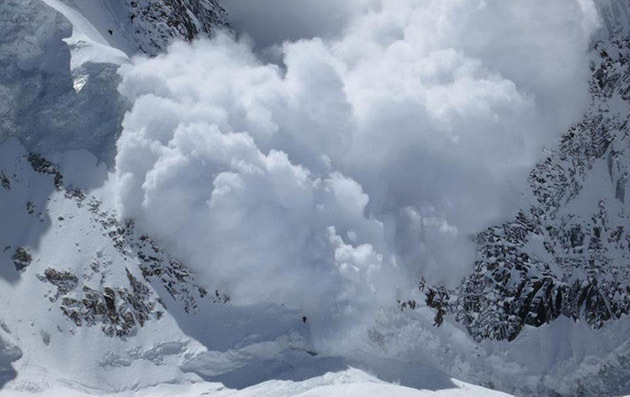 With an overcrowding of the passes, with costly delays, lack of communication, and bad weather, disaster would strike the mountainside, and some weekend warriors who came to add their names to the list never made it back home. I could have done with a bit more drama. As it was, the story felt very sterile, very cold, very factual, like it was trying to make heads & tails of a confusing & dangerous time. True accounts of the actual events are varied, actually, with many stories not coinciding, proving each other false with each telling. John Krakauer, the author of Into the Wild, was among the party, wrote a book about the event, but there are a great number of accounts, none of which match up perfectly. So I can see how the film was attempting to organize events, tell how it likely happened, explain the chaos in a way that made sense. But in so doing, in trying to recapture the images of the real photographs of that day, something dramatic was lost. There were no heroes, no amazing survival stories, no hope, nothing that lent itself to a film version of the action. There was just the truth, or the truth as was imagined by the filmmakers, and this was related in a fashion that was a bit boring, a bit too realistic, and without the qualities that capture audiences. And so when the summaries arrived at the end, I once again felt cheated out of entertainment, wishing I had either seen a better dramatization of the event or a clean documentary, not something in between. It was this lack of clarity that bothered me, this position somewhere between fiction & reality that kept me from loving this film. The visuals were beautiful, and perhaps I could have enjoyed the film more with the sound turned off. The mountains, the storm, the crevices; it was all stunning, and probably the highlight of the film. Set against such a backdrop, the dialogue constantly felt unnecessary & recycled, as if the actual participants recounted what they had said and the actors spit it out, whether or not it sounded good on screen. The actors themselves were fine; Clarke & Gyllenhaal representing the best, Brolin & Hawkes the worst. But they were given only so much to work with, held to the true detail of the event too strictly, and never allowed to shine. Perhaps that sounds bad, and it’s not that I want a completely Hollywood-butchered version of the truth, but there needs to be more depth to draw me in, more crisis of character to help me care. 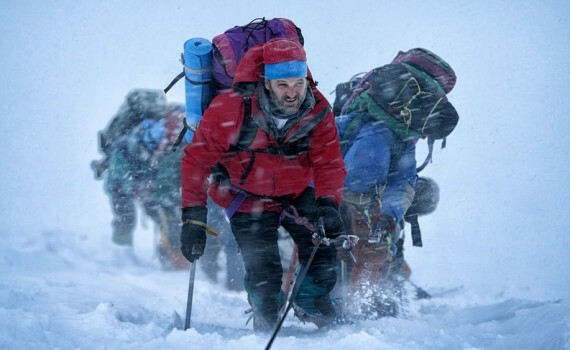 Everest was a beautiful visual, make-you-feel-cold cinema, and something that I liked watching. But it fell very short of being impressive & compelling, failing to become much more than a documentary, hovering too close to a recounting, when what I wanted was much more.